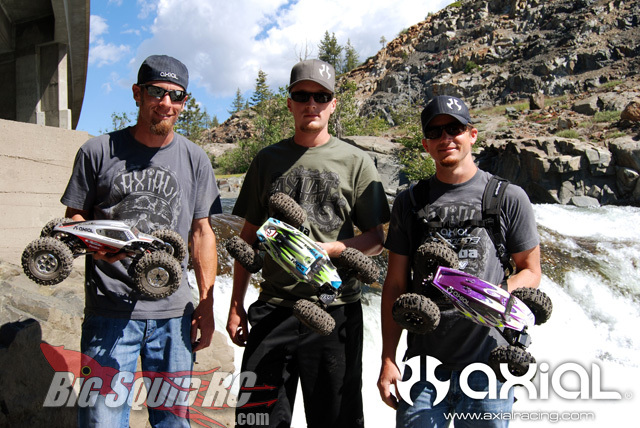 Interview with Jeff Johns of Axial « Big Squid RC – RC Car and Truck News, Reviews, Videos, and More! We would like to start off by thanking Jeff and Axial for their time, and for being the first in one of our new segments where we talk to people at the top of the fastest moving companies in RC. These interviews are not just with the company PR guys, we go as high up the food chain as possible, and try to ask the hard questions nobody else would dare ask. Big Squid: Can you please tell who you are, your official title at Axial, how you obtained this title, and when. JJ: My name is Jeff Johns; title is President/CEO of Axial. I’m part owner and one of the founders of Axial. My business partner and I started Axial in 2005. Big Squid: Was this your first venture into the world of RC? What/where were You before Axial? JJ: My first venture into RC was in the early 80’s when my cousin and I built a Tamiya 1/10th Scale Sand Scorcher. I’ve been in the RC industry for a little over 12 years. I started with a major brand in RC in 1998 and then started Axial in 2005. Big Squid: Going back a few years, there’s a video on Big Squid RC where Axial was showing the Robitronic Trophy Truck in their booth at iHobby. We also remember everyone was trying to figure out how to jam a Axial .28 into a T-Maxx. In the blink of a eye, that Axial changed to the current Axial. What happened? How did it happen? Did it seem overnight to you, or did you see this change coming? JJ: Axial started as an engine, body, accessory company in 2005. Our engine line took off as the performance to dollar vale was really high. From there, we focused on delivering a wider variety of engines and engine accessories. As our engine line and accessories were received well by consumers, we started working with our friends at Robitronic in 2006 to help them get established in the USA. The Robitronic line did well for us. But our vision for being a bigger part of the industry and offering a complete car kit was where we wanted to be. In 2007, we released our first kit – the AX10 Scorpion 1/10th Scale Rock Crawler. Our focus on kits and engines continues to be a large part of our business and with the success of each new kit release, so has accessories for those kits. I feel we are sticking to our business plan from the start. We’re thankful for the reception of the Axial brand from our consumers, retail outlets and distributors. Big Squid: Who and how did you come up with the design for the XR10? It’s a radical change from the other vehicles in your product line. JJ: Since the AX10 revolutionized RC Rock Crawling, with the competition side of RC Rock Crawling moving to the next level. Axial wanted give back to the people who helped us get to where we are today by setting the bar at a level that would again revolutionize RC Rock Crawling. The XR10 was developed from our years of competition experience input from AX10 designer Matt Kearney, XR10 designer Brandon Coonce, team drivers and our customers. Big Squid: Speaking of XR10, what’s up with all the Vanquish Support? Not only did they have products in the kit, but tons of aftermarket stuff ready the day it shipped! Someone at Axial own Vanquish? What’s the deal there? JJ: Axial does not have any vested interest in Vanquish. 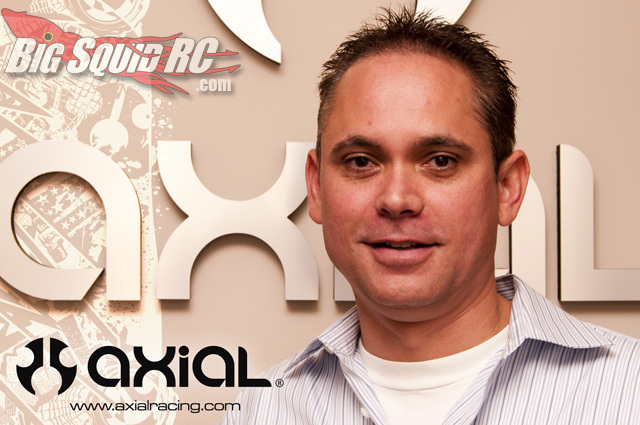 Vanquish and Axial have developed a partnership. The XR10 deal is based upon Vanquish giving Axial the rights to use the Vanquish wheel design in the XR10. We found that their patented design was well suited for the best designed rock crawler in the business. We wanted the XR10 to be the most capable RC rock crawler on the planet and that means giving customers the option to have the very best in wheel design and tuning. Big Squid:Your thoughts on the current state of rock crawling? The rules, the classes? How the heck does the AX10 (arguably one of the vehicles to help put rock crawling on the map) not really even legal in 2010 rules? 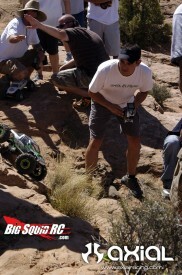 JJ: RC Rock Crawling competition is in a very interesting position. 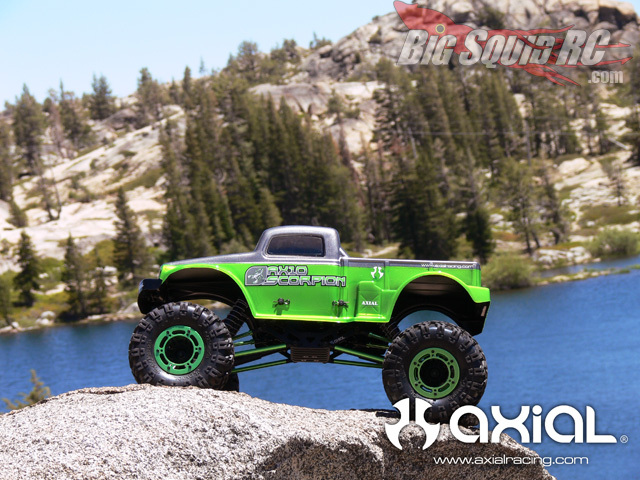 For a number of years Axial worked very hard on supporting RC Rock crawling competitions, from sponsoring events, to the Axial West Coast Championships. Our goals with the support of Brian Parker were to bring in new competitors to by adding in sport / novice classes, to challenge the top drivers with creative courses, and implementation of new tools to make the competitions more productive and fun. I believe we achieved that over the years and the result is a lot more people are aware of RC rock crawling. Today, however, there seems to be a shift going on. The people that were once focused just on competitive rock crawling are now starting to do scale challenges. Again, Brian Parker being one of the spear heads of scale challenges amongst others started a “G6 challenge” up in northern California / Nevada. The turnout and enthusiasm from competitors has been overwhelming and I think that scale events are the next big thing for our customers. Big Squid: If Axial was going to do a Short Course truck, what would they do different? Do you have any issues with the current super popular SC Vehicles? JJ: I can’t really say if we are going to do a SC truck or what we would do differently vs. the competition. But I will say with any new hot products in RC, everyone wants a piece of the action. But they don’t realize the pie is only so big. At Axial we focus on bringing a different element to our products vs. the competition. Don’t get me wrong the SC category has been great for the RC industry, and it’s great to see the segment growing globally. 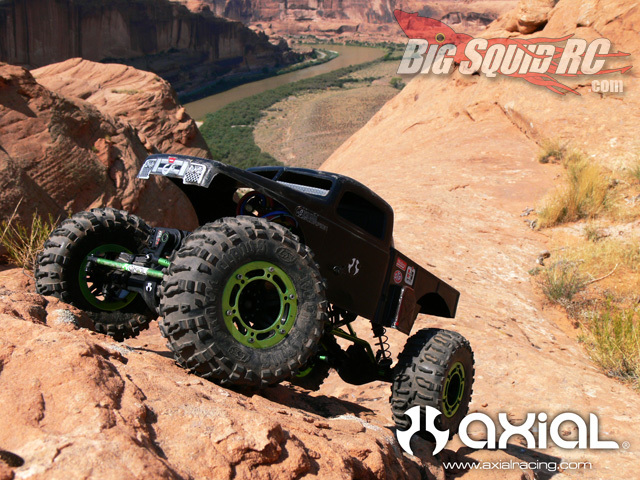 Big Squid: Axial has very much helped bring scale realism in the RC world. Is scale realism the future of all RC classes? Should we be seeing buggies that look like buggies, and trucks that look like trucks across the board, or will there always be room for those vehicles that don’t look like anything? JJ: Thanks for the props, but other RC Companies have been doing scale realism for a number of years. These companies and the scratch builders are the ones whom have inspired Axial. Scale realism is a significant part of many segments of RC and I see that continuing in the future. Be spreading out more into other types of vehicles or products? We are always trying to figure out the future of RC, what does your crystal ball tell you? I’m very excited about our new product line up for 2011, and the new internal changes we are making to build the Axial brand and support our customers, dealers and distributors. We have a very experienced talented team that is doing amazing things. The RC industry is going through some significant changes and it will be very interesting to see how things play out in the next 5 years. As for Axial we are now laying the path for our future and we will continue to raise the bar as we evolve over the next 5 years. JJ: Ha! No short course truck but we will have a new chassis release in March, and we have another innovative new chassis that will hit the market later this year. should of asked? Any closing comments? Maybe some suggestions for Big Squid RC? JJ:I’ve been reading Big Squid for a number of years and it’s a great honor to be able to contribute to Big Squid’s content. Thanks again to Jeff for taking the time to work with us on this! If your a President, CEO, or other important person of a major RC company, and would be willing (brave enough) to answer any questions we can come up with, please drop us a line!